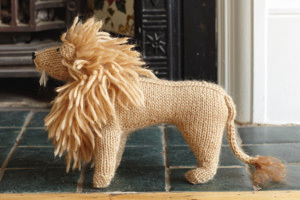 Aslan, Simba, The Cowardly Lion, Elsa – the lion holds a special place in our imagination. King of the Beasts, we see lions as a symbol of bravery; majestic, powerful, ferocious, but noble. In fact, lions are the most lethargic of all wild cats, spending up to 20 hours a day lounging around doing nothing. The lion is the only truly social cat, although males do indulge in the rather anti-social practice of infanticide to ensure their dominance of the pride. The African lion population has been reduced by half since the 1950s.